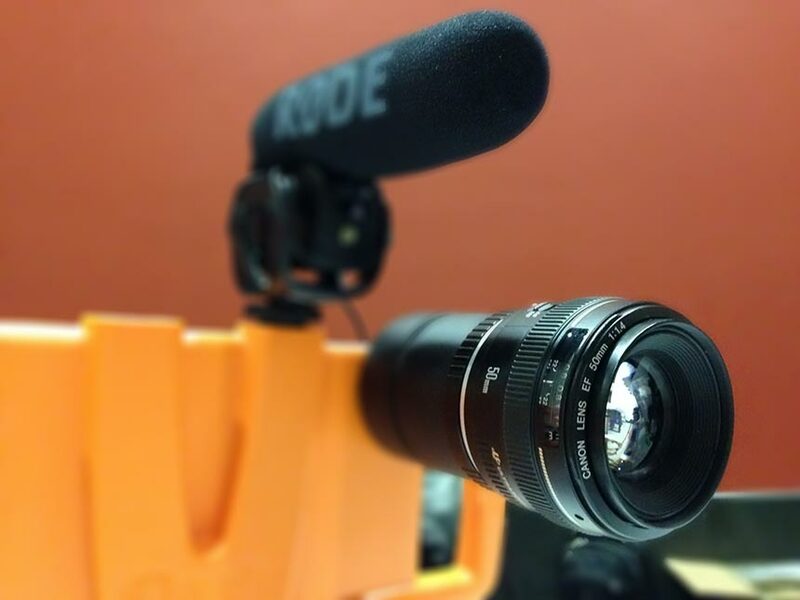 You might have some DSLR lenses that you would like to use with your production setup. There are a few cases available for iOS devices with SLR lens mounts. iOgrapher is a great case we recommend. Once mounted, you'll find the image from these lenses will appear upside-down due to the nature of how these lenses work. Switcher Studio gives you the option to flip the image over so that you can use an SLR lens for your productions. 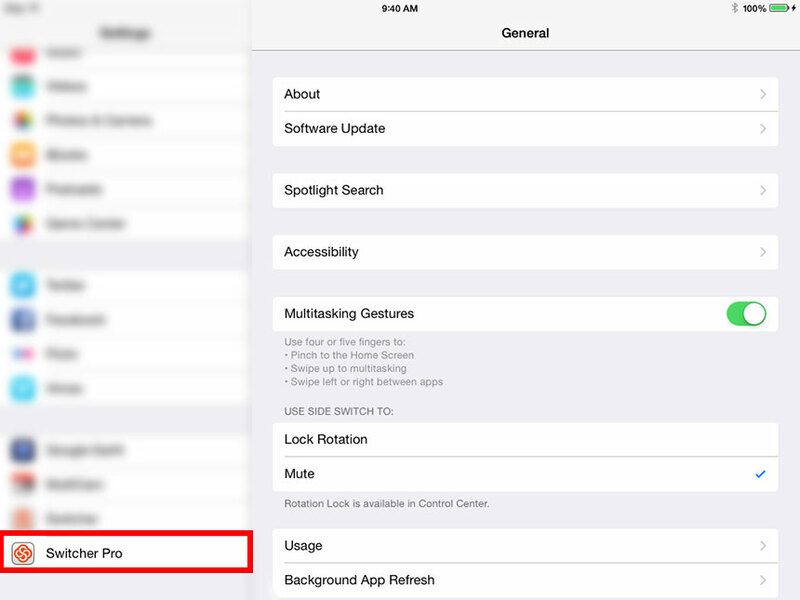 Before launching the app, open your device's settings by tapping the "Settings" icon . 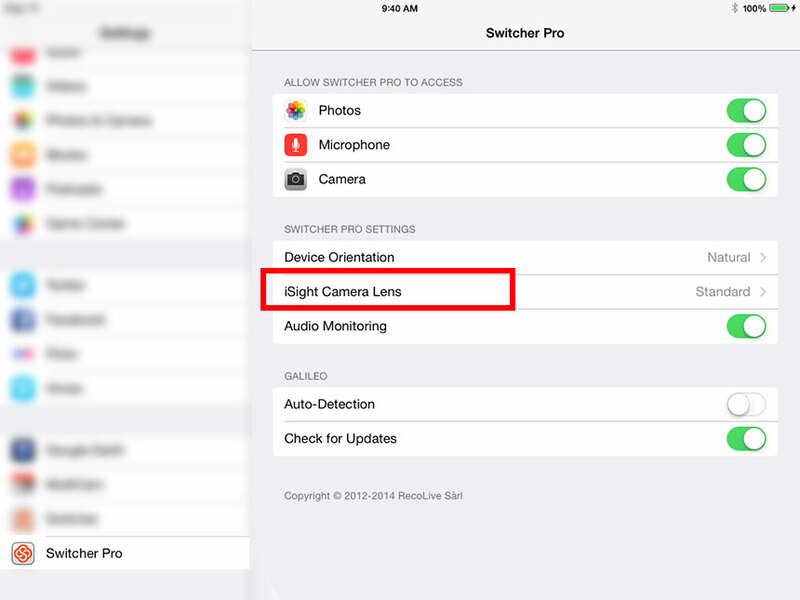 Scroll down to the Switcher Studio app icon and tap it to open the app settings. 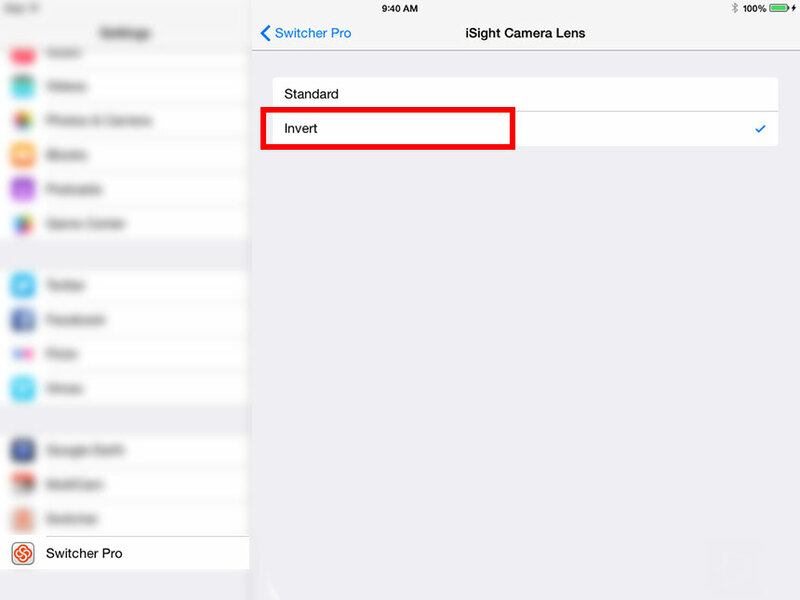 Find "iSight Camera Lens" in the menu, and tap it to open a sub-menu. Next, tap "Invert" to flip the image coming from your lens. Now you will be able to use your SLR lens with any Switcher Studio production. In order to use these lenses you will need to use a lens adapter to ensure that the Flange Focal Distance (FFD) is appropriate for your lens.